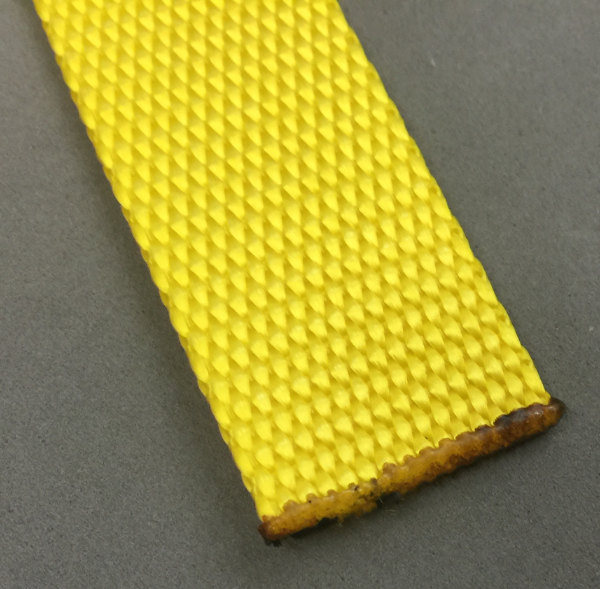 If you have polypropylene, nylon or polyester webbing, you don’t want your cut ends to look like this. 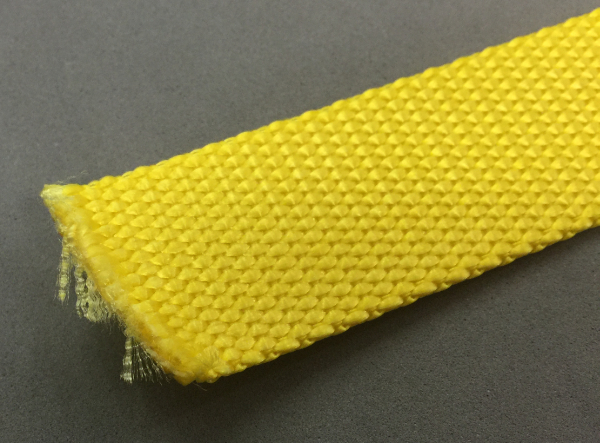 Even though I cut this piece of 1″ nylon webbing with a very sharp pair of scissors, the result is awful. Cutting with a hot knife is the better way to go. I have let this one get really hot so you could see the cutting blade but for actual use it works much better if the temperature is just a bit higher than the melting point of the material. 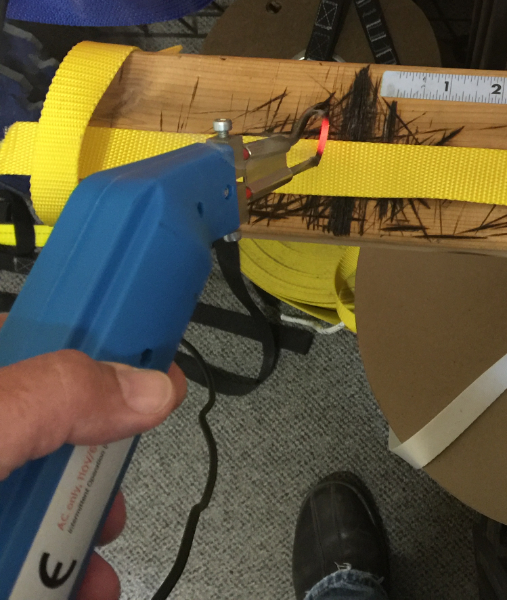 If you don’t own a hot knife you can seal the cut end of your webbing with a propane torch, match, lighter or even with a gas burner on your stove (but don’t make a mess in the kitchen). The finished result should look somewhat like this. My example is rather black due to the really high heat of the hot knife which melted way more material than is necessary. You don’t need to have a fancy hot knife like what I have. My Weller soldering iron has a blade that I purchased at the local hardware store which works quite well. The advantage of the tool I use at work is it heats up much faster which is nice if you need to make a bunch of cuts but hardly necessary for occasional use. The raw end of the webbing can be soaked in shellac or some other quick drying liquid to “seal” the end so it won’t fray. If the webbing didn’t have to pass through something, you can fold it over twice and sew the end so the cut portion is not accessible to fray. 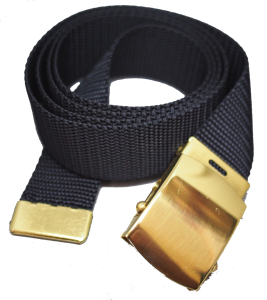 This works best with thinner webbing.